Want to restore your balance and increase energy — and have fun while doing so? Amoremaria, an event company that formally launched today, keeps food, fun and healing front and center through both public and private tarot parties, inspirational dinners, and Reiki training. Amoremaria’s mission is to connect the mind, body and spirit in a way that is uplifting, enlightening and fun. “I have always been a cook and I have always been intrigued by the spiritual side of life,” says Maria Amore Davis, founder of Amoremaria. 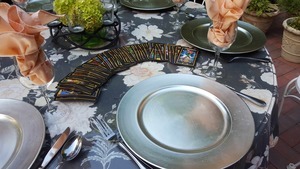 “Now I combine two of my passions (food and tarot) to create fun dinners with intuitive readings.” In addition to hosting events, Davis is available to read tarot at public and private parties. In addition to Reiki and Tarot events, Davis lectures widely on cell memory clearing, which is based on the idea that subconscious memories can be released through Reiki. “Every cell in our body has the ability to remember,” says Davis. When trauma is suppressed that energy can get stuck. Cellular memory technique, helps release and clear core issues that have long since been buried. 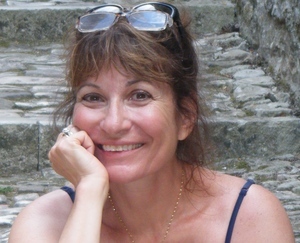 Maria Davis is a certified Reiki Master, A Karuna Reiki Master, an IET Practitioner and a Priest in the order of Melchizidek.